Babblings of a Mommy: Shop Belle: The Kids Boutique You've Been Looking For. (And Oh Yeah, A Great Giveaway Too!!)---CLOSED. 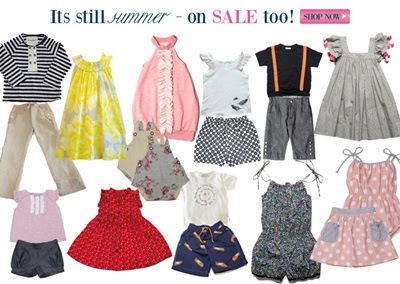 Shop Belle: The Kids Boutique You've Been Looking For. (And Oh Yeah, A Great Giveaway Too!!)---CLOSED. With so many children's boutiques on the market it's hard to stand out, but if you're Shop Belle you don't have to try too hard. When you have impeccable taste and offer amazing brands--you pretty much got my attention. Within just a few minutes of browsing their online shop they had me wanting to buy every single item in their inventory! I don't know about you, but that's a rare find for me. To find a store that I can honestly say that I would buy every single item for my daughter is practically unheard of. Maybe because Shop Belle pride themselves on being an children's boutique that brings stylish and inspiring children's clothing to the online boutique world. They carry such brands as: A.Bird, Blue Pony Vintage, Europann, Ferd, GoGently Baby, Kit + Lili, Nellystella, Old Soles, Peas & Queues, Right Bank Baby, Stun, Taboo, Tom & Drew, Velvet and Tweed, Wonderboy and more. 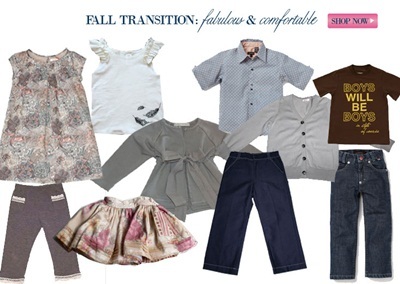 They are a full-service boutique that carries a unique range of baby, boys, and girls clothing sizes 6 months to 6 years and even offer traditional boutique services such as complimentary personal styling. Currently they have an awesome spring/summer sale with clothing up to 50% off and with their amazing fall line on it's way! What's even better is that one lucky Babblings of a Mommy reader will get a chance to pick from their incredible selection with a $50 gift certificate courtesy of ShopBelle.com! "Like" Shop Belle on Facebook. Tell them that Babblings of a Mommy sent ya and leave me a comment here telling me you did so. Remember each one counts as a different entry so be sure to enter them separately. You may tweet once a day if you'd like, but be sure to leave comment on post about your re-tweets. I do check and verify entries. Giveaway ends August 31st . A winner will be selected by random.org and will be notified via email. *I was not compensated for this giveaway. UPDATE: Congratulations to lajohnson555@yahoo.com you're the winner of the $50 Gift Certificate!! I'll be contacting you shortly. If you didn't win this time, don't worry. I got another great kids giveaway coming your way!! Stay tuned. I left a note on their FB page. I like Shop Belle and left a note on their FB page. I subscribe to Shop Belle's newsletter. I "like" Shop Belle on facebook! I "like" Babblings of a Mommy on facebook! I subscribed to your blog feed. I "like" Shop Belle on FB! Liked Shop Belle and told them you sent me. Liked Babblings of a Mommy on FB too. I liked Shop Belle on Facebook(Tami Vollenweider) & left a Message! I signed up for Shop Belle's Newsletter! Adorable! Like Shop Belle on Facebook! I liked them and posted that you sent me. I left a message on their FB and told them i was sent by you! Like them on FB and told them you sent me. Like you on FB (Nicole Hsu). Feed subscriber via Google Reader. I "Like" Shop Belle on Facebook. I told them that Babblings of a Mommy sent me! I subscribe to Shop Belle's newsletter via e-mail. I follow Shop Belle via FB as Christina Graham and told them you sent me. I follow you via FB as Christina Graham. I subscribe to your feed as Christina Graham. I liked Belle on FB told them you sent me. I am a new GFC follower. Visit us at Says Me Says Mom (http://saysmesaysmom.blogspot.com) where we talk about anything and everything. I liked Shop Belle's fb as Mechele JOhnson and left them a comment. I signed up for Shop Belle's Newsletter. I "Like" Babblings of a Mommy on Facebook. and I left a comment on their wall. I like Babblings of a Mommy on fb!! Fan of Babblings on FB too! Already a Fan of ShopBelle on FB! that your blog sent me. 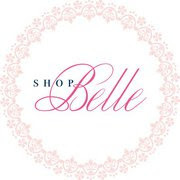 I liked Shop Belle on Facebook. Tell them that Babblings of a Mommy sent me! I followed Babblings of a Mommy via GFC! I followed you on twitter and tweeted the giveaway!